Private schools are the best option for education in Bolivia because the public Bolivia education system is severely underfunded, unorganized and bureaucratic. The Bolivia school system is explained in great detail on this page for foreign exchange students. Private education in Bolivia offers many more advantages and is often surprisingly affordable by foreign standards (although by Bolivian standards it is considered to be very expensive and out of reach for a great part of the population). The severe lack of good public schools has motivated Bolivian and foreign businesspeople seeking to avoid the public education system 'at all costs' to invest in building up a huge number of private schools and institutes. 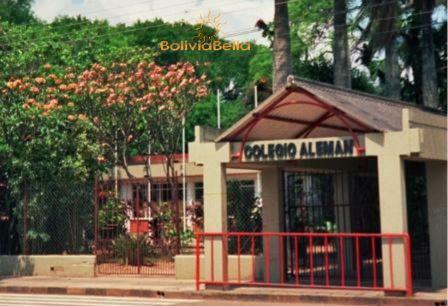 There are several international schools in Bolivia, including American and British schools which are taught in English. There are also high-quality German, Spanish, Argentinean, Japanese and French schools. The need for good education alternatives to Bolivia's desperately beleaguered public school and public university system has attracted a great influx of non-profit or religious organizations, foreign government cooperation funds, and millions in private investment by both foreign and Bolivian businesspeople to build and operate dozens of private schools and good quality private universities, many of which have foreign exchange and reciprocal accreditation agreements with schools and universities in other countries. In addition, Bolivia has an astonishingly high number of private and vocational institutes per capita. Private schools are called ‘colegios particulares’ in Bolivia, although frequently people refer to them as ‘colegios privados’. Most people who can afford to put their children in the private education system do. However, it should be noted that even though some are surprisingly affordable (by foreign standards) under 35% of Bolivia's population can actually afford them. On average, private schools in Bolivia cost between $70 and $150 dollars a month. The exceptions to this are the American schools which typically cost upwards of $300 a month in elementary school grades and more for high school grades. Although they provide a much higher quality of education than the public Bolivia school system, and although they may operate according to foreign standards and accreditation systems (and in the case of the American schools, on a completely different school year), private schools, private universities, and private institutes must by law adhere to the Bolivian Education Reform law governing public education in Bolivia. This means that they must comply with the government-dictated minimum education standards and include a core set of subjects the Bolivia education system requires for study. They can, of course, offer additional or better quality classes that are not on the public education curriculum and most do. Even schools that conform to foreign curricular requirements, such as the American schools which run on the U.S. school year and are accredited by the U.S., must also conform to the government’s minimum curriculum under this education reform. In Bolivia, some private schools offer dual graduation diplomas, meaning high school graduates receive both a Bolivian high school diploma and a high school diploma which accrediting them to study in the country that established the school in Bolivia. For example, at the American international schools in Bolivia, students graduate with both a Bolivian high school diploma and a U.S. high school diploma, making it possible for them to be accepted into colleges and universities in the United States, or they can take the entrance exams administered by all Bolivian universities, both public and private. Entry requirements to Bolivia private schools are strict and there are frequently long waiting lists. Some require a one-time, non-refundable membership fee, then monthly payments. Some schools will not accept new students into elementary or high school unless they started at the school’s pre-school level. Others give exclusive preference to students whose parents also studied at the school, and only accept new, unrelated students if there are still spaces to fill. Exceptions are frequently made for foreign residents. Be aware that many private schools have included the words American, Bilingual, or English in their names. Most of these are not American, nor is the education provided at some fully bilingual, and some that do offer classes in English only, may not employ teachers whose English conforms to the standards of English or American schools. Most of these do not run on the U.S. school year either and are not accredited by the U.S. or other overseas education systems. Most Spanish-speaking private schools are Catholic schools, with a few exceptions. When choosing a school, if you plan to return to your country of origin, or send your kids to another country such as the U.S. for college, be sure to ask about private schools in Bolivia regarding accreditation and make sure their curriculum conforms to the standards of the country you will eventually be returning to.